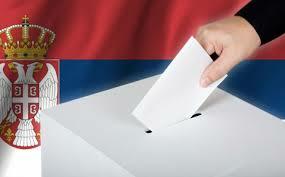 On the occasion of the parliamentary elections in the Republic of Serbia, the polling place at the Consulate General of the Republic of Serbia in Chicago was opened on 23 April 2016. 48 percent of the total number of registered voters in the voter list for the consular district of the Consulate General in Chicago came out to vote. In accordance with the regulations, the results of the voting at the Polling Place Committee is displayed at the Consulate General.